Alpha Electric Supply is a major distributor for two conduit manufacturers. Just provide us your detailed specifications and we will custom design/build it. We pride ourselves on providing quality product that is competitively priced while at the same time providing the absolute best service in the construction industry. Feel free to browse the websites and select which product line is best for you. Ridgeline manufactures PVC conduit and fittings. Ridgeline products are manufactured in the Pacific Northwest, which allows for convenient shipping to all Alpha locations in Hawaii. All Alpha Electric branches stock a healthy inventory of PVC conduit and fittings from trade sizes ½” through 4”. Larger size conduit, including 5” and 6” may also be available. The use of PVC is inexpensive and makes conduit easy to install, and it can be used in a wide variety of applications. 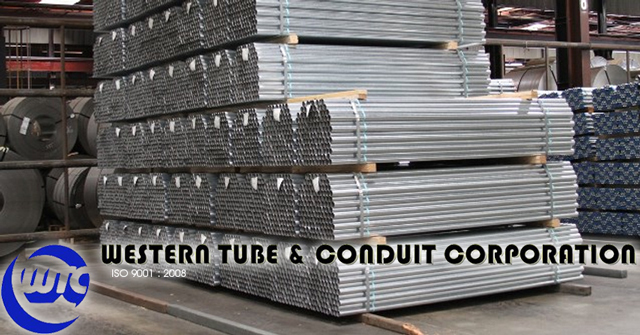 Western Tube manufacturers all types of metal conduit and maintains a very strong inventory at their factory in Southern California. This gives Alpha Electric quick access to material when needed. Electrical Metallic Tubing, or EMT, is stocked at most Alpha locations in trade sizes ½” through 4”. EMT is used in many commercial applications and is an effective and reliable way to protect wire. Additionally, we stock Galvanized Rigid Conduit, or GRC, in trade sizes ½” through 4”. Rigid conduit is generally used in more heavy commercial or industrial applications and offers superior protection for the wire inside.